This turnkey 2 bedroom cabin is currently a successful vacation rental and ready to be enjoyed as your mountain escape from city life. A mile high, above the smog, it sits on a quiet street under a canopy of majestic oak trees. Enjoy the crisp mountain air on the large deck- the perfect outdoor living room. 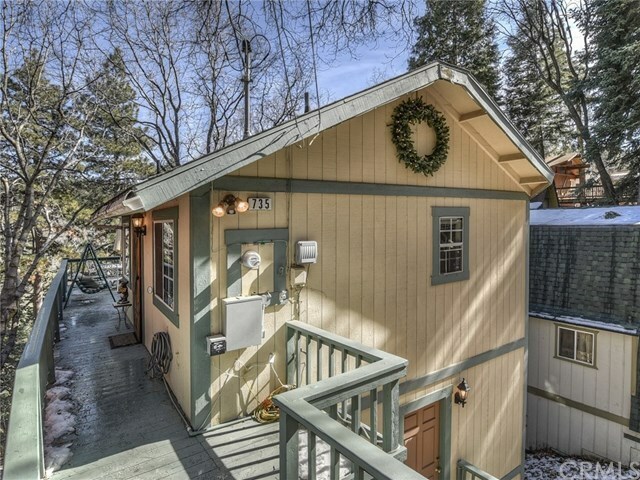 Located in the coveted Arrowhead Villas and walking distance to the Tudor House- a historic entertainment venue, close to Lake Arrowhead Village, Sky Park at Santa's Village and easy access to the 18.